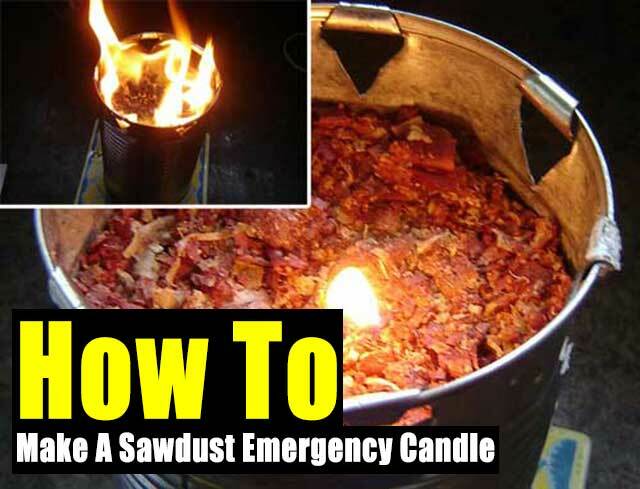 I absolutely LOVE this emergency sawdust candle project! I will have to make a few buckets and keep them covered up in my garage for that just in case moment! This is for a long burning light and heat source for times when the power is out. If you notice the bucket has holes at the top, this allows oxygen in so the flame can breath! If I had to use this to cook I would place a small metal grill over the bucket, a 5 gallon metal bucket would be able to handle the weight of a small pot of boiling water. This project would make a great ambient light if you were camping too. The best thing about this too is that you could make this from old wood, just shave the wood into saw dust and whammy, you have a long lasting light. check how to make one for your self below!